Photo: Workers at our farmland are not only happy to know that their work provides much-needed food for children in need, but also for the fair wage they receive working at the farm. 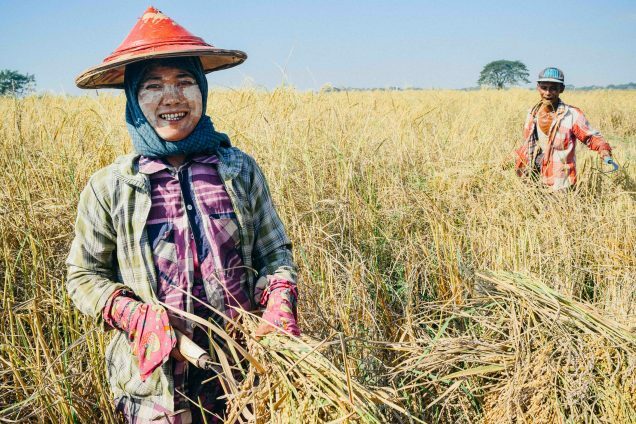 We are happy to report that the fifth annual harvest at our Myanmar rice farm took place in early December and was an encouraging success. The crop yielded approximately 6.6 tons of rice at the 14 acre farm. Heavy rains during the planting season affected our yield to some degree. Even so, we are thankful for a good harvest that will feed 140 orphans and the staff in our six orphan homes. The amount of rice we harvested this month will provide approximately 45,000 servings of rice, which is a great blessing to the children’s health. This dietary staple provides the children with fast and instant energy, regulation of digestion, fortification of the immune system, an essential source of vitamin B1, and it also provides protection against dysentery, cancer, and heart disease. Because of the growing list of orphans under our care, our local team has decided that instead of selling excess rice to raise funds for their programs, they will stockpile the entire crop. From this stockpile they will be able to feed not only our orphans but also the widows in our widows care program, along with others that our team finds in need during the hot summer months when rice supplies dwindle and prices spike. We will begin planting rice again at the end of June or July depending on the weather, and we are praying for a more bountiful rice harvest in November or December 2017. Photo inset: (Top-left): A member of our native team is ready to deliver rice to one of our orphan homes. (Top-right): The children in our orphan homes were given a Christmas party on December 24th where they all received clothes and toys. 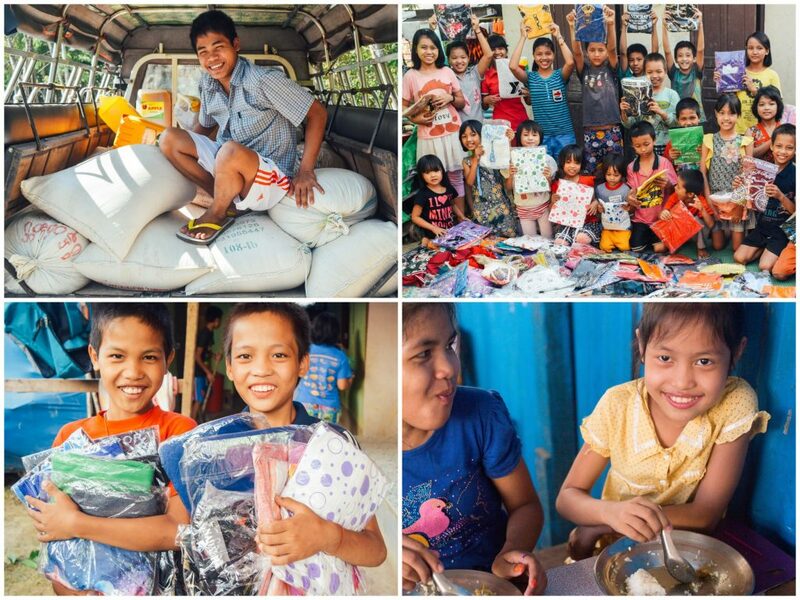 (Bottom-left): Two boys at one of orphan homes are thankful for their Christmas gifts. (Bottom-right): This child at one of our orphan homes is grateful to receive nutritious meals made with organic ingredients grown on our local farmland and on-campus gardening projects. In other news, we are planning to build an income-generating rental property on some extra land located at our rice farm — the new building will consist of 30 apartments that will be available to low-income renters. In years of surplus, our rice harvests generate income for our programs. In years of drought or flood, rental income from the rental property will protect our Myanmar education programs from losing crucial funding. We are seeking to raise $28,000 which will cover all of the building materials, fill dirt to raise certain sections of the farmland to be flood-proof, electricity, construction of the bathrooms, the installation of toilets, and water pipes. The annual profit on each apartment will be $240-$300, which pays for an entire year of education for one orphan. We will begin construction when we have acquired full funding. Editor’s note: This is an updated project proposal from our Myanmar team. Previously we had published a story about using the former piggery complex as the site of our apartment business concept. This new location beside our rice farm will be in a more strategic location. There’s so much we’re thankful for about our progress in Myanmar in 2016, but we couldn’t be happier with such great news to start out the new year in 2017. Thank you for being a part of this work — the ultimate harvest of which is rescued and transformed lives.